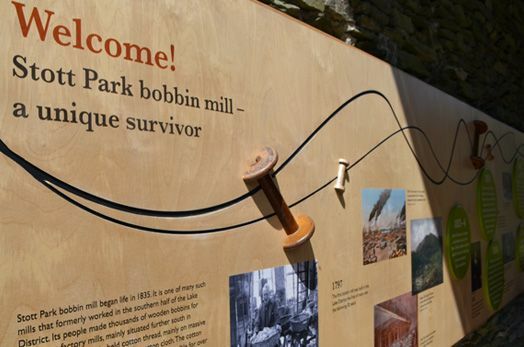 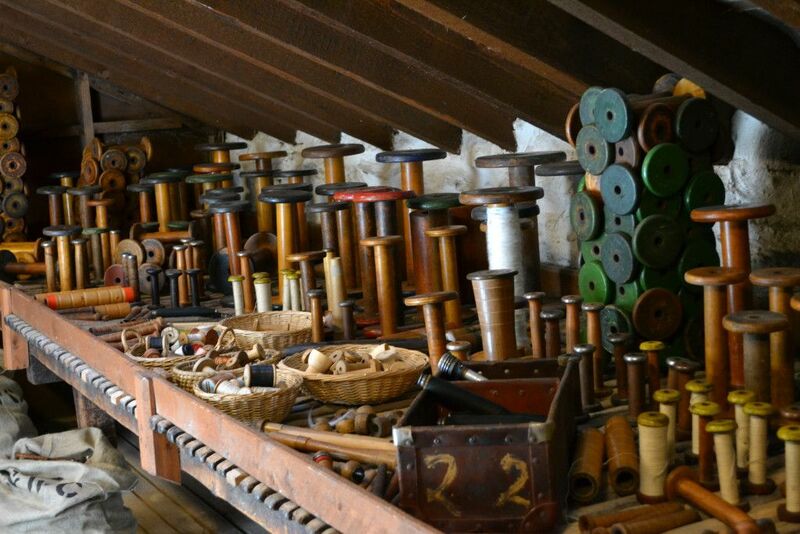 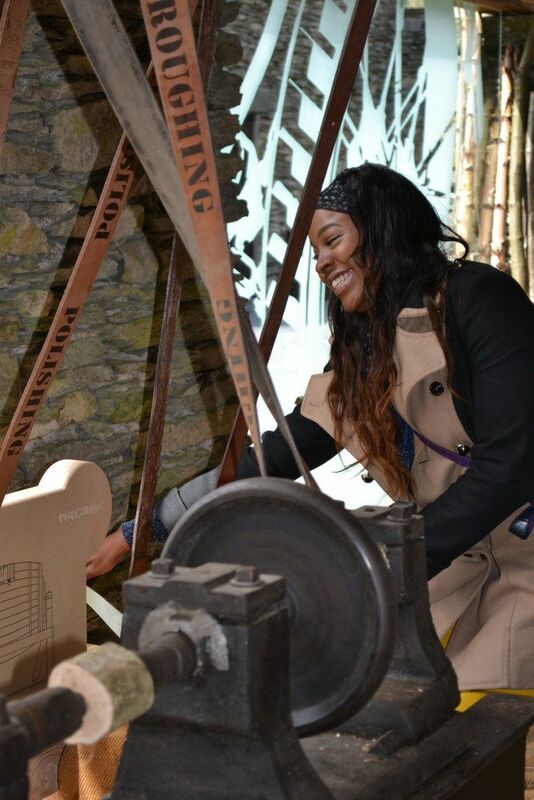 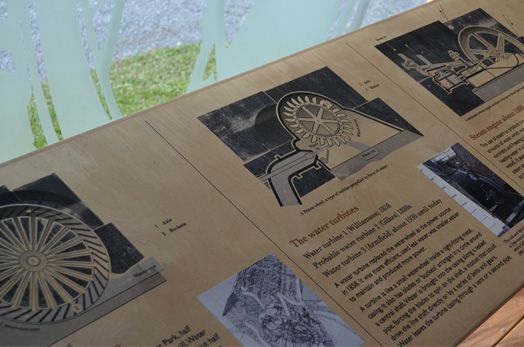 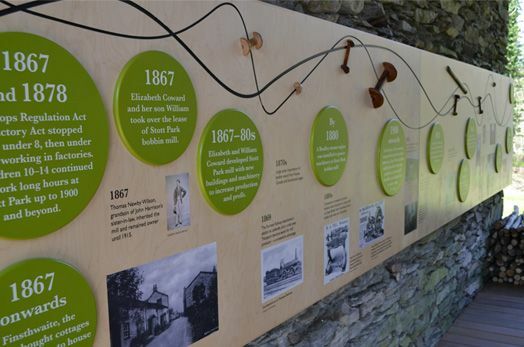 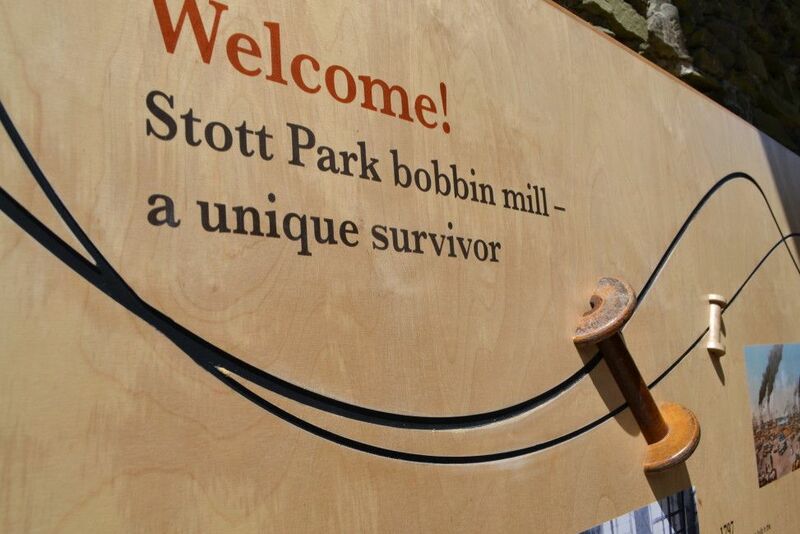 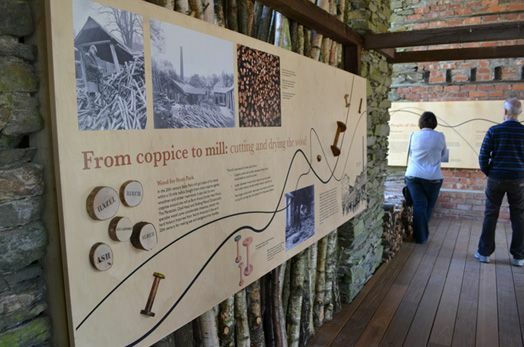 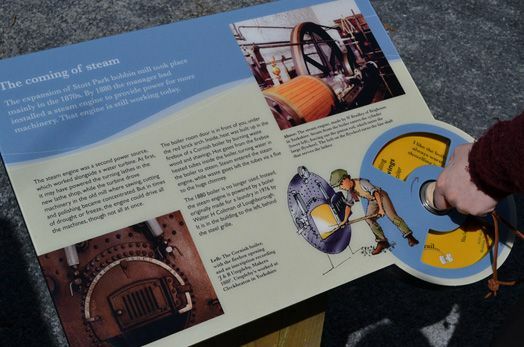 We are delighted to have designed the interpretation at Stott Park Bobbin Mill, in the Lake District. 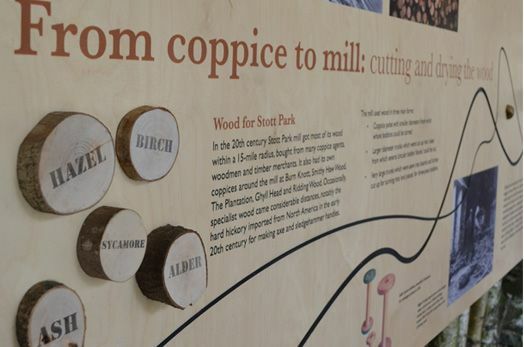 Bivouac, has created a vibrant graphic scheme, alongside project leaders and 3D scheme designers Leach, to transform the previously run down Coppice Barn into a fresh vibrant space, with interpretation that uses beautiful natural materials, dimension, found objects and a number of cutting-edge print and production techniques. 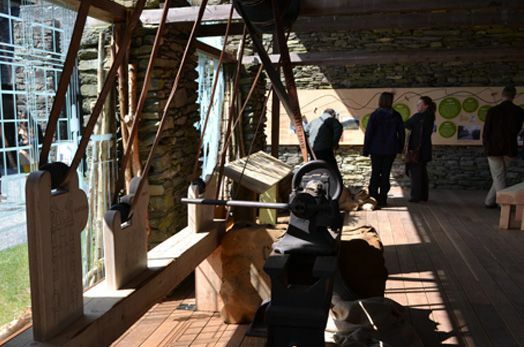 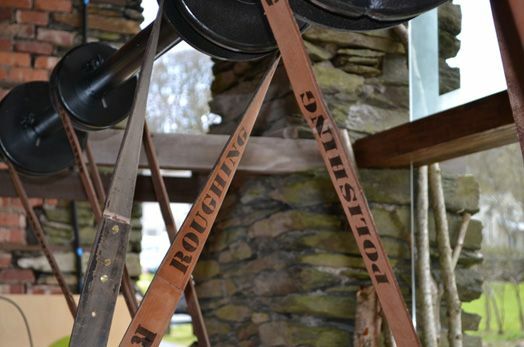 The working mill is situated on the edge of Lake Windermere in a beautiful wooded valley, and the barn is open-sided, so materials and colours were selected to reflect the setting and be hardwearing enough to withstand the elements. 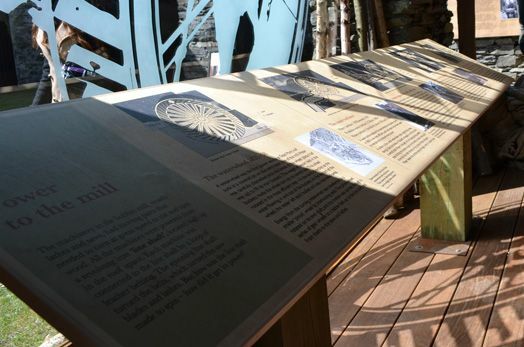 Printed direct to natural ash panels, we used freeform routed ‘threads’ to take the visitor on a journey through the space, connecting the panels and creating a fluid and visually arresting experience. 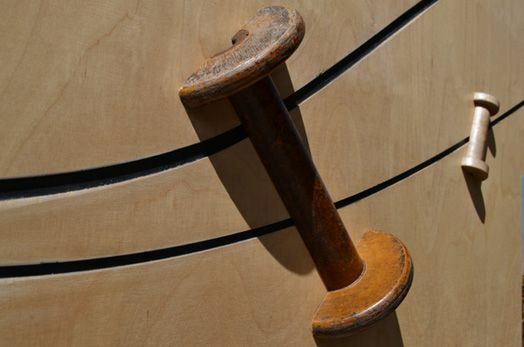 Dimension was added with front-mounted circles, bobbins and end grain samples, as well as the routed lines. 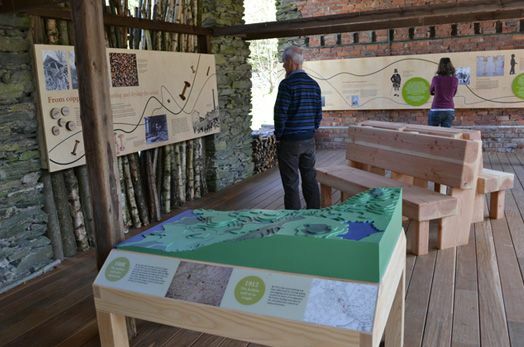 A 3D model of the area, a large interactive, using an existing lathe bed and printed leather belts complete the internal scheme. 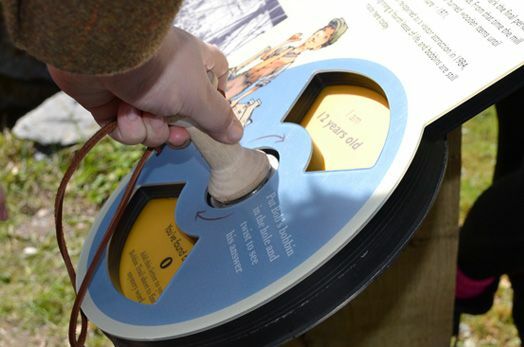 Externally, hardwearing lecterns dot the site at key points and contain a child-friendly ‘Bobbin Trail’. 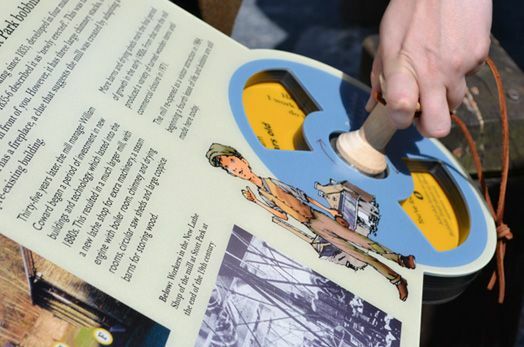 Children are given a bobbin ‘key’ to turn the interactives and reveal clues from Bob, the bobbin boy. 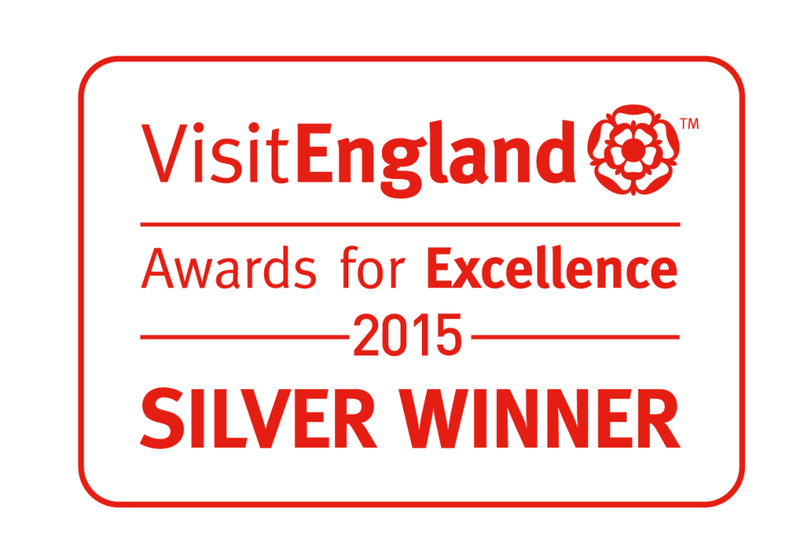 The Mill is a winner of the 2014 and 2015 Cumbria Tourism Awards. 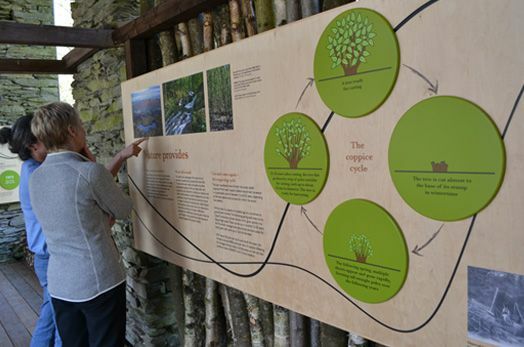 Thanks to Neil Pearson for illustrating Bob, and Lynne Roebuck for her work on the Power diagrams.